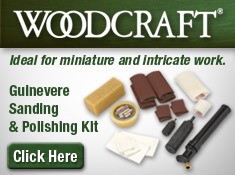 Fill Your Summer Calendar with Great Projects. 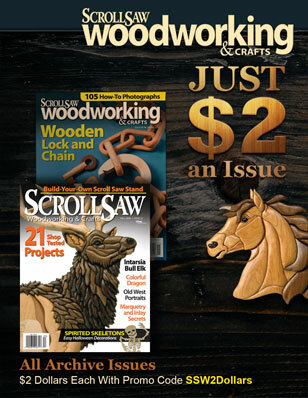 Whether you are vacationing this summer at the beach, the mountains, or at home, be sure to schedule in at least one of the beautiful projects in issue 39 of Scroll Saw Woodworking & Crafts. 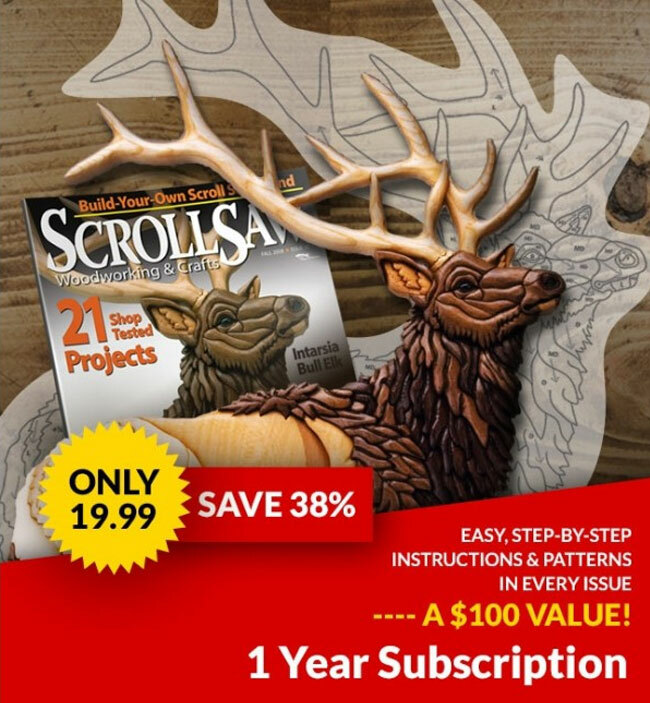 From new techniques, like using Gallery Glass® to create Stained-Glass Suncatchers, or using paper for Colorful Fretwork Butterflies, to designing intricate scrolled and inlay jewelry (Mother’s Day is just around the corner), you will find projects for every skill level. If inspiration is what you crave, check out the 2009 Best Project Design Winners as highlighted in SSW39. If your favorite patio lounge chair is as far as you will travel this summer, add some Easy-to Make Luminaries by Sue Mey, or a Mason Jar Lantern by Paul Meisel to your patio’s décor to shed some soft light on those beautiful summer evenings. 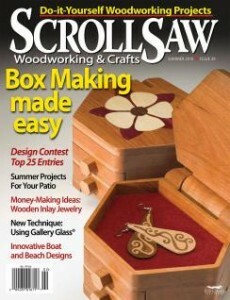 Order this issue, get it on newsstands now, check out the website, and enjoy some summer scroll saw fun in the sun! Don’t want to miss another issue? Subscribe today!